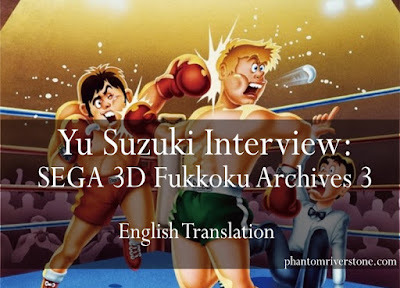 Q1: Please give your direct impression or comments about users playing Champion Boxing on modern systems, having been included in Sega 3D Fukkoku Archives 3: Final Stage as a bonus for players of the previous collection. YS: There are a lot of people who think my first game was Hang On, and I would have liked to keep it that way. [laughs] Even given it’s a game from 30 years ago, the movement and sounds are really limited, so I don’t feel a sense of nostalgia so much as embarrassment. They say that the past gets glorified, but it’s a shock to take a fresh look at it. 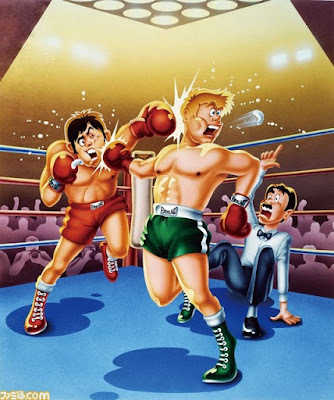 Champion Boxing, released in 1984, is a boxing-themed one-on-one action game in which you fight your opponent with a choice of Jab, Straight or Upper punches. It is known as the grandfather of one-on-one fighting games. Q2: Please tell us any inside stories about the development that only now you’re able to speak about, for Champion Boxing. YS: I joined Sega in 1983, and quite extraordinarily one year later was given the opportunity to be project leader. At first, I think it was a three-person team: an assistant programmer, a graphics designer and myself. 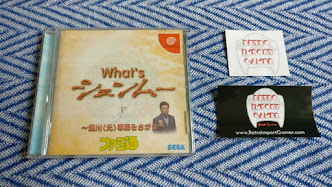 At the time, I had heard that at Sega only people in Planning with at least 7 years in the lowest ranks were able to become a project leader, so I was amazed at being given this chance in my first year, and that a programmer was appointed for the first time. 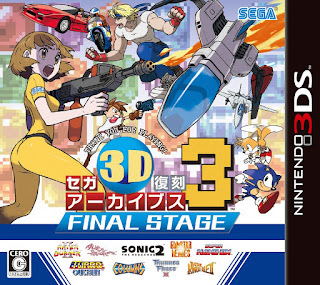 Q3: Sega 3D Fukkoku Project is a series that gives a new playing experience of old titles through additional modes and a new interpretation in 3D stereoscopic vision. What is your opinion and thoughts about the approach of the series? YS: Hang On, Space Harrier, Out Run, After Burner and so on are 2D games, but internally they perform 3D calculations. That generation didn’t have boards that could display 3D, so just the display part was performed in 2D. I’m very much looking forward to seeing my games reborn using the new 3D stereoscopic technology, and I’m always keeping a close watch. 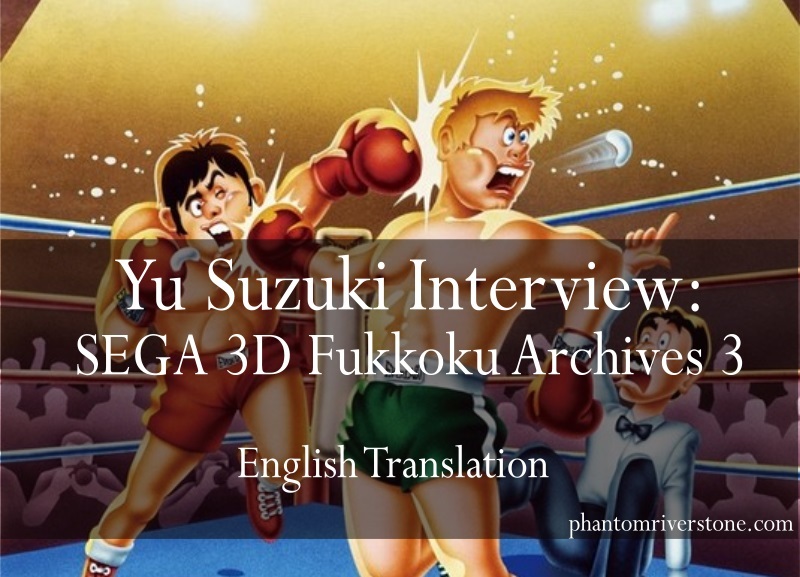 Q4: Of the titles in the Sega 3D Fukkoku Project that you worked on yourself, which in particular left the greatest impression? Please also give the reason. YS: I’ve got a lot of memories about all of them, so it’s difficult to pick out just one. I think the game that has the best fit for stereoscopic 3D would probably be Space Harrier. It’s fantastical world setting, pronounced perspective and exhilarating shooting makes an extremely good match for 3D treatment, I think. Q5: If one more game were to be added to the 29 titles in the Sega 3D Fukkoku Project series, which one would you like to see remade in 3D? Please also give the reason. YS: Hang On. It was the first ride-on style game for both myself and Sega, and it's the game I'm most deeply attached to. Q6: It is 2017 this year. 2018 is the 30th anniversary of the Megadrive and 2019 is the 20th anniversary of the Dreamcast. What are your feelings about each of those, is there anything you want Sega to do? Shenmue III, currently in development for PS4 and PC. Release scheduled for the end of 2017. Q7: What is your resolution for 2017? 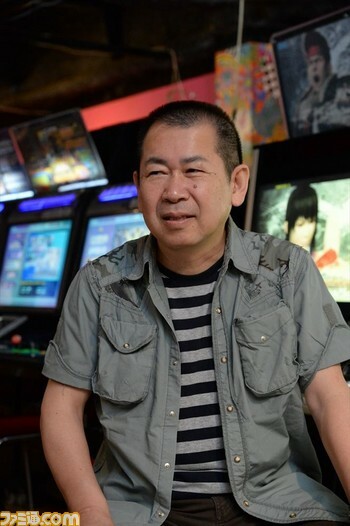 YS: Although 20 years have passed, I aim to work on creating Shenmue with the same unchanged feeling that I had back then. Thanks for the translation, brodo! Your blog rocks, Switch! Another great job translating this interview Switch! 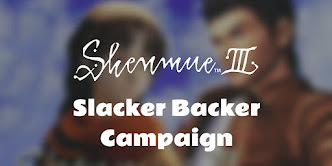 You make a really good job for shenmue community. Thank you! 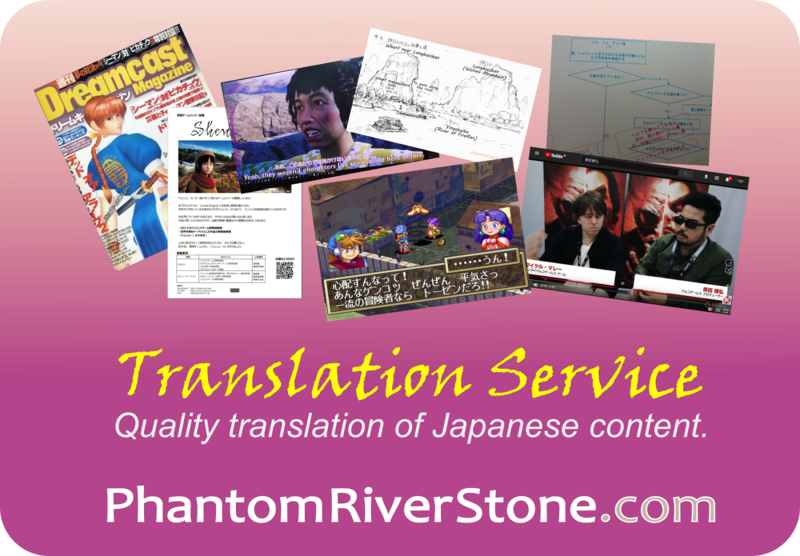 There's some nuggets of gold being put out by Japanese websites that might otherwise not get exposure in the West.